Cirque-ability – Circus tricks for the whole family | Kids in T.O. This is where moms hang. 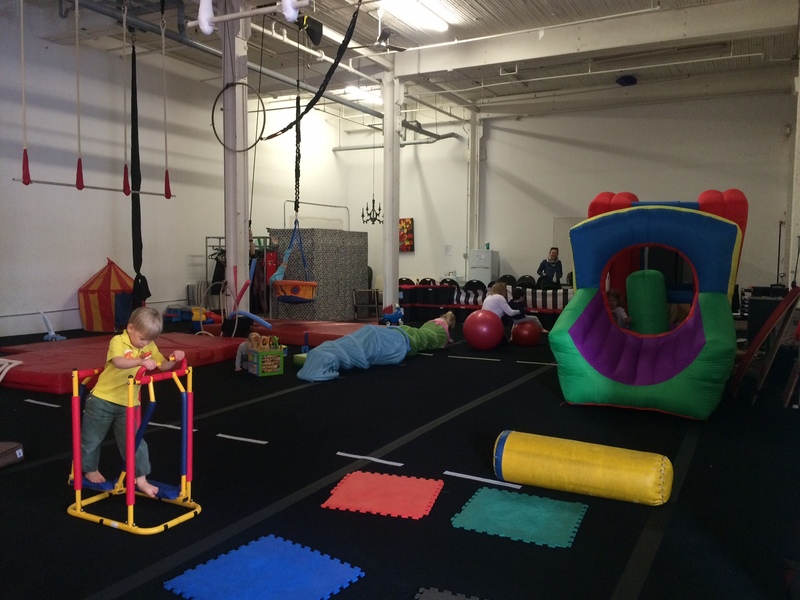 My three-year-old and I headed west to Cirque-ability, a circus school and gym that offers beginner to performance classes for kids, families and adults. We signed up for a Mommy Aerial class – a rare opportunity where I can do a class and he can tag along. So while the kids (0 to 5-years-old) explored in the ‘circus playground’ (bouncy castle, ride-on toys, mini-trampoline etc. ), moms got a workout learning some cool moves on the trapeze, hoop and silks. But this is only one way to get in some circus tricks. 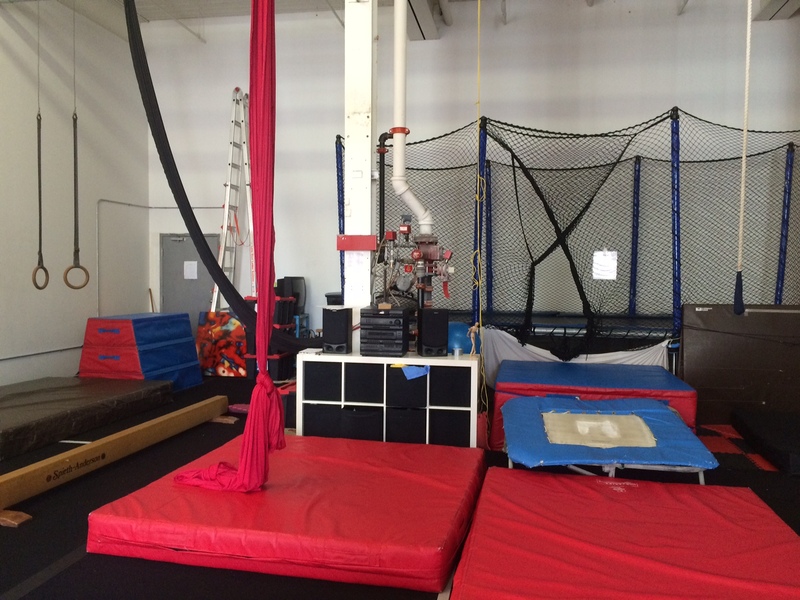 Cirque-ability also offers classes for kids (from babies to performance-level teens), the whole family (Mommy Aerial and Family Aerial) as well as kid parties. Not sure where to start? Drop in during a non-instructional open gym time where you and your child (0-5 years-old) can check out the space and play. PS – There is also adult classes to Keep Mom Sane. PSS – That is not me pictured above. The strong woman hanging upside down is the talented mama behind Ariel Grace Yoga. Low-down: Schedule & Cost. In the gym, socks or barefree only. Potty time: Yes, washrooms onsite. Snack time: Yes, in designated snacking area. In the hood: Approximately 2km east is Dufferin Grove Park and Mall. Circus in the east: Check out the Circus Academy on Gerrard St. E.